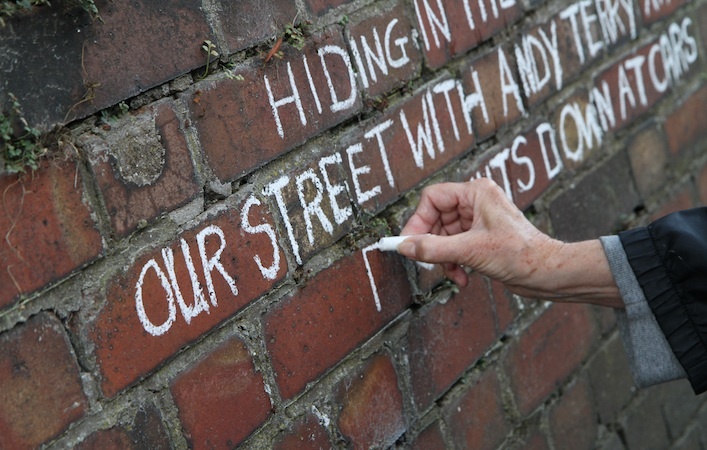 Write Up Your Street was a temporary street art intervention created in collaboration with Playing Out. 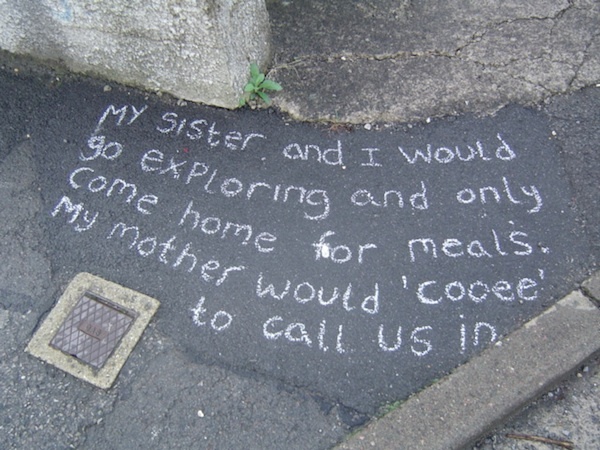 Memories of childhood play, gathered through conversations with members of the public, were chalked into pavements, streets and walls on a residential street in Bristol. 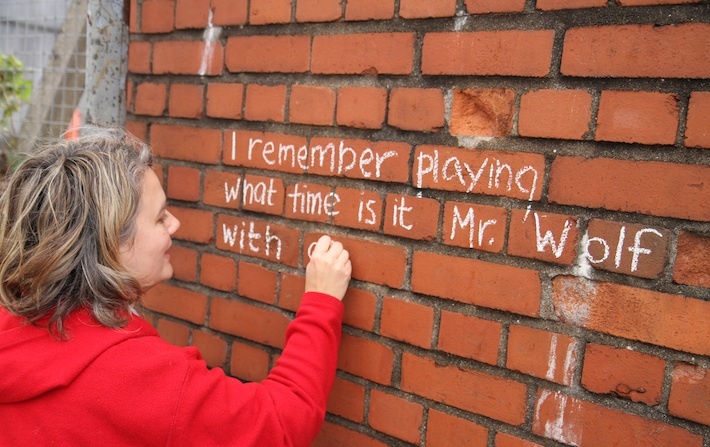 The positions and shapes of each text resonated with the pathways and locations of the types of play they evoked. 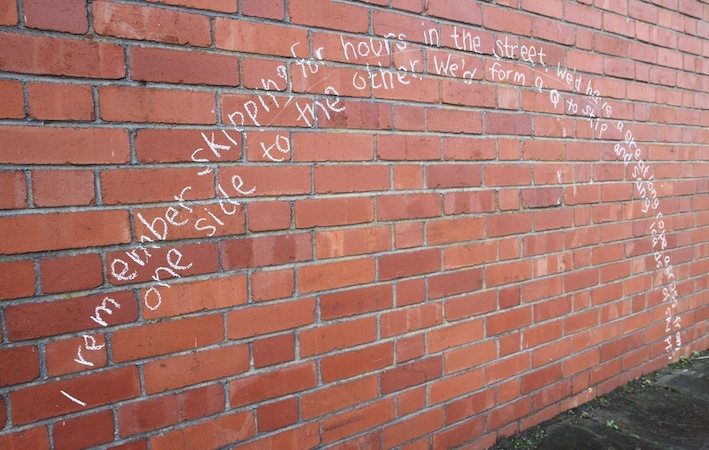 This project relied on the generosity of many volunteer chalkers! See more about this project here.